Welcome again to Mascot Monday and as we weather another week of March Madness, we must say it’s disappointing that no Big 12 team is in the Final Four. We’ll try to fogoe those woes as we take a look at one of the surviving participants mascot. 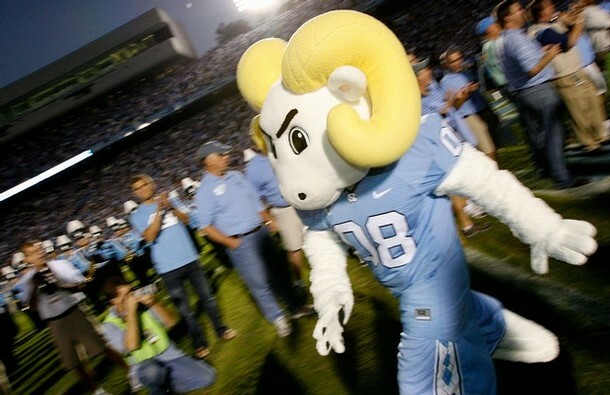 This week we will look at the University of North Carolina’s Rameses. We learn a little bit about tar, a little bit about rams, and all about why you shouldn’t walk on highway shoulders. This one’s for the KU (and Roy Williams) fans.